Alice made a promise to make the world a more beautiful place, then a seed of an idea is planted and blossoms into a beautiful plan. This beloved classic and celebration of nature—written by a beloved Caldecott winner—is lovelier than ever! Barbara Cooney's story of Alice Rumphius, who longed to travel the world, live in a house by the sea, and do something to make the world more beautiful, has a timeless quality that resonates with each new generation. The countless lupines that bloom along the coast of Maine are the legacy of the real Miss Rumphius, the Lupine Lady, who scattered lupine seeds everywhere she went. 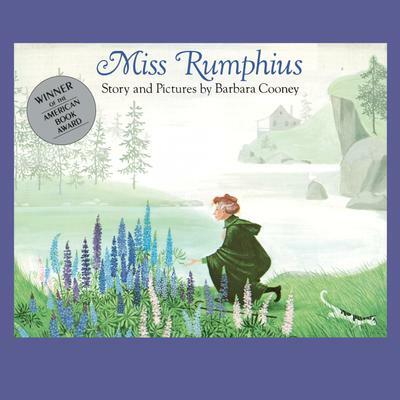 Miss Rumphius received the American Book Award in the year of publication. The illustrations have been reoriginated, going back to the original art to ensure state-of-the-art reproduction of Cooney's exquisite artwork. The art for Miss Rumphius has a permanent home in the Bowdoin College Museum of Art.